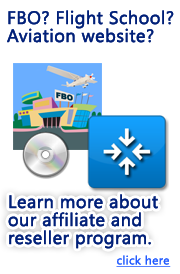 Our GroundSchool software can help you pass your FAA ATP written test without wasting your money or time like those $250 ATP written test cram courses do. 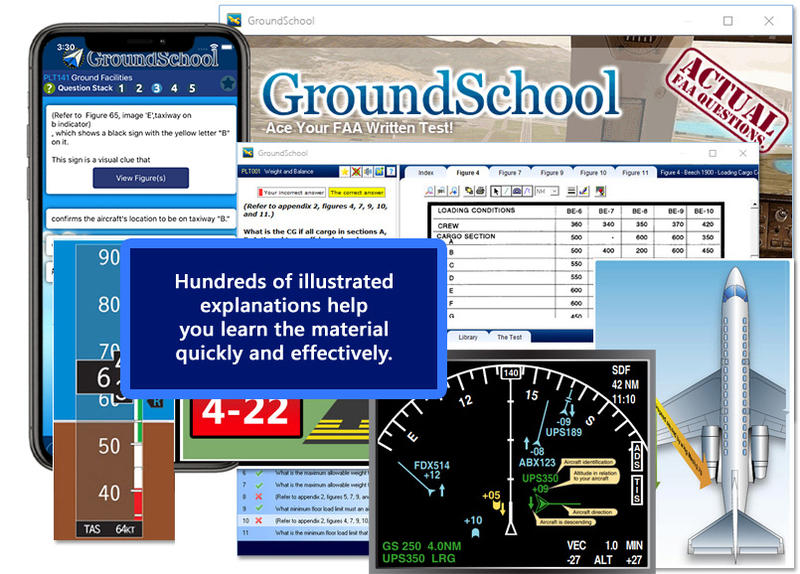 GroundSchool featurs up-to-date, ACTUAL FAA QUESTIONS. Answers and Explanations have been written by highly experienced flight instructors and professional pilots. All required charts and figures are included. Unlike books, DVDs, other materials, our software updates itself using the built-in self-update feature. You can always have the latest and greatest available study material from us at no extra charge. This software can be used to prepare for all of the ATP Single-Engine and Multiengine Airplane and Helicopter tests plus Aircraft Dispatcher. The questions have been filtered and sorted so that you study only the questions that will apply to you. Note: for more information the ADX Airline Dispatcher test, click here. The feedback keeps rolling in. Our users routinely score very highly on their knowledge tests. We invite you to be next. It's hard to say for sure, but we're confident within reasonable doubt that we have helped "hundreds get hundreds" with our software by this point. Click here to see even more feedback from our satisfied users!